Have just returned from a fun trip to Melbourne! I’m just itching to travel at the moment, this time last year I was on the other side of the planet, exploring/eating my way through Paris, Rome and London and this year, I’m feeling cold cold cold in my winter Sydney bubble. At the start of the year, Herr Mouttard and I booked some flights down to Melbourne and promptly forgot about them – it was Aaages away. How time flies and soon the flight and the trip were screaming out to us and considering my mood, couldn’t have come at a better time. Anyway, back to the food, we booked a lunch at Vue De Monde, so we could save the night for a wine bar. It was a wonderful dining experience, I can see why it's so highly rated. 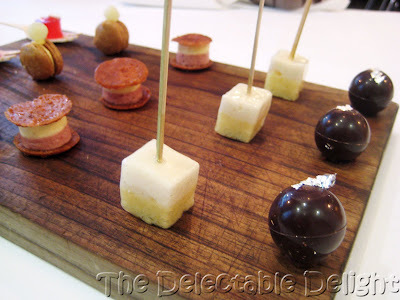 If we had the time I would have been tempted by their custom degustation menu at night, where they tailor the degustation depending on what you feel like. 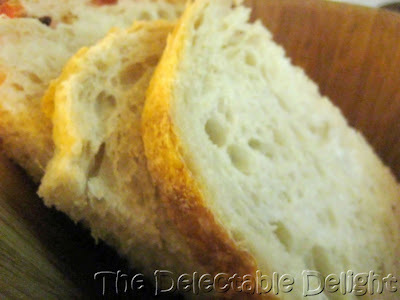 Bread is routinely refreshed, other choices included Rye and Olive. This sounded so good on the menu we all ordered it. 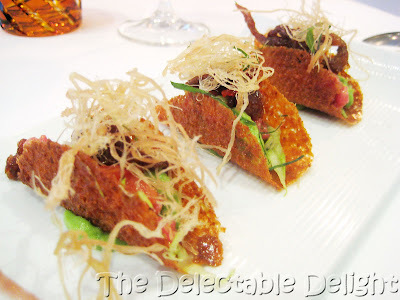 The wagyu beef, as expected, was extremely tender, with a sweet taste that matched the sweet taco shell. 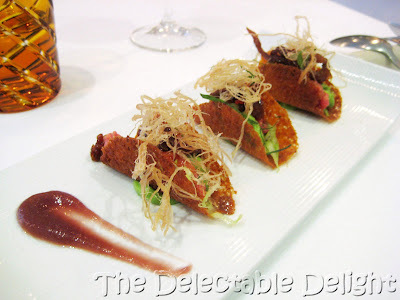 I loved the textures on this plate, the combination of the loud crunchy taco shell, the super smooth avocado puree together with the succulent beef and slightly chewy pork floss like topping was fantastic. I didn’t realise the theatre of our palate cleanser until it had already started so apologise because there should’ve been a picture at the beginning to start this series. 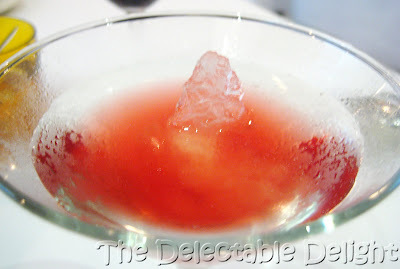 After the entrée, we were presented with a martini glass holding a spoonful of grapefruit granita. 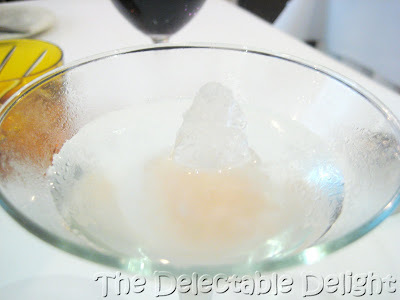 The waiter then whipped out test tubes of distilled - 8°C water and poured it over the granita, the result being that it freezes separately on top of the granita, making a little peak of ice. Finally, verjus is added to the glass. Don’t ask me how the water was still liquid at - 8°C, that’s just what we were told. 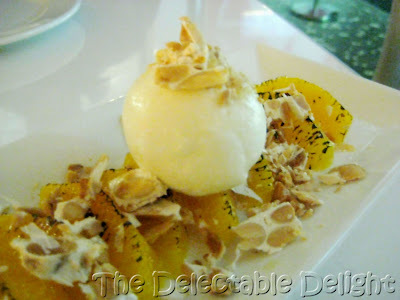 Whatever the science behind it, it was definitely refreshing and I loved the little drama of the serving. 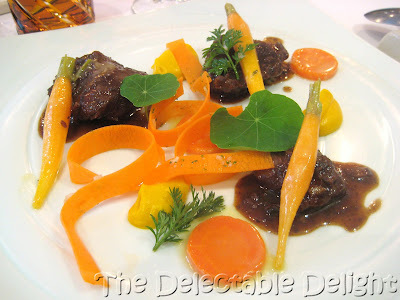 Both Logo and I opt for the veal cheek, which is braised and served with a black bean sauce and carrot in four forms. The plate is adorned with ribbons and discs of carrot and each cheek piece is crowned with a sweet baby carrot. 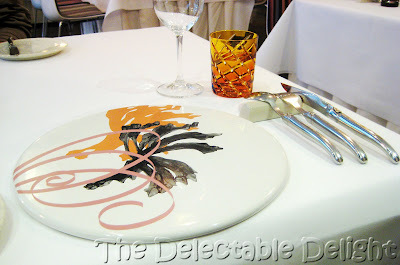 The most interesting part of the plate for me was the orange infused carrot puree. Firstly it was the silkiest smooth puree I’ve ever had and secondly I was amazed at how much orange flavour had been infused into it. 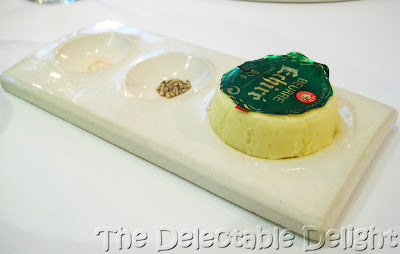 Herr Mouttard was very pleased with this dish, I had a little bite and it was beautiful. 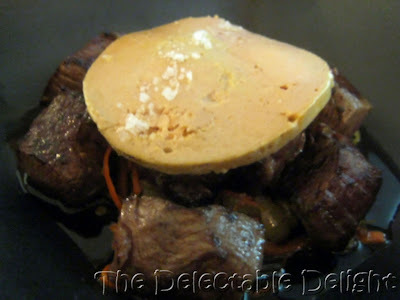 The mutton was succulent and perfectly cooked and went nicely with the rich sauce and avocado. Who doesn’t enjoy potato on the side? Very unlike me but I decided not to have dessert, and the boys passed on the cheese, which led us straight to espressos, macchiato and petit fours! 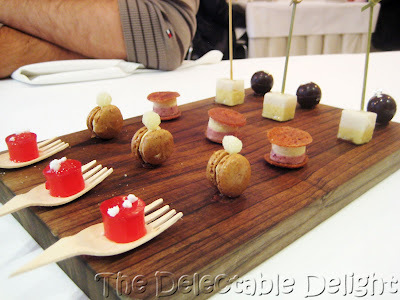 To date, these are the best petit fours I’ve ever had. Yes, that’s right, I’m adding a great big generalised statement to this post… I’m not sure if the descriptions are exactly right so adding a disclaimer, but you get the idea:) My favourite was definitely the chocolate ball. The waiter serving us recommended that we eat it in one bite, as the caramel is quite runny. It was possibly the sexiest mouthful of the day, the smooth sweet liquid caramel blending with the bitter melting chocolate on the tongue is just sensational. 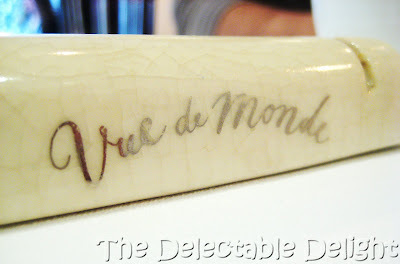 Vue de Monde, translated to mean view of the world, is a beautiful escape from the urban city it resides in. The dining room is fresh yet elegant (my favourite parts are the little plants sitting in upturned wine glasses which hang from the roof and the open kitchen) and while it’s undoubtedly a first class dining experience, it forgets to be stuffy and uptight - which is refreshing in itself. Staff and service is warm and professional and at the end I was extended a helping hand down the stairs (Did I look that fragile? ), which, while definitely not necessary as I was in flat shoes that day, was a lovely little touch. I am in possession of an Entertainment Book this year. Last year’s edition sat on my bookshelf, forgotten and neglected until we discovered it whilst packing to move house earlier this year– the dust on it screamed waste. The deals are great (especially in today’s economic climate), but the main attraction for me, apart from the fact the money paid for it goes to charity/fundraising, is that it brings to mind places I’ve never even heard of and reminds me to step out of my regular dining bubble and simply try something new. Sydney really is a diverse pot of food and activity fun and the Entertainment Book is a fantastic guide for it. 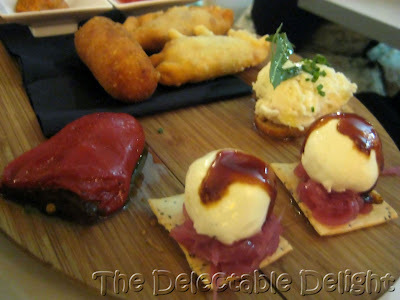 As part of our EB journey for the year, we headed to Cru54 on Foveaux St for some Spanish/French tapas. Cute little restaurant; small, casual and intimate I found Cru54 remarkably unpretentious, a breath of fresh air for this city. The restaurant is quite small and most seating is placed lining the adjoining arcade. I’d recommend booking and reserving indoors. Herr Mouttarde and I were seated in the arcade and found it a little chilly, which I imagine will only get worse as we approach winter. In the event you can’t secure indoor seating, bring a jacket. 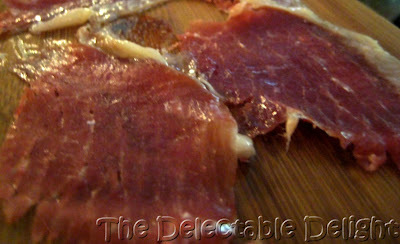 The menu is structured into 4 sections – Tapas, Tablas, Raciones and Desserts. We started the night with tapas, which come in bite sized individual portions and tried the homemade sangria. 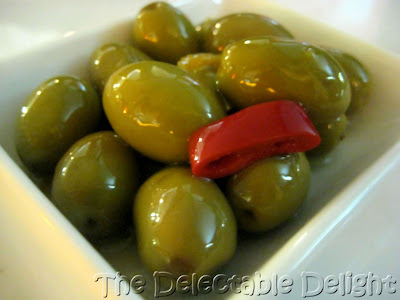 Simple and tasty these take me back to my time in Barcelona, where I fell truly in love with the humble olive. I remember them being served everywhere, at restaurants as a side or starter or bars alongside your drink of choice – so much better than peanuts! In Barcelona, it was common to be able to choose your flavour (which added more time to the ordering process), but at Cru54, the olives are marinated with lemon zest and a touch of chilli and doused with peppery olive oil. 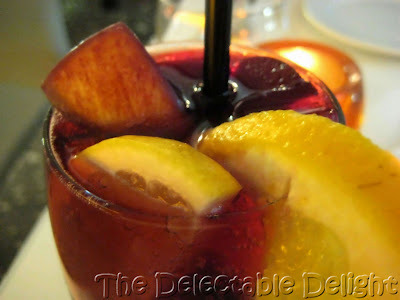 The Cru54 take on sangria is bursting with fruit and simply divine. Generous pieces of apple and orange peek lazily through a pear infused concoction which was light and refreshing; had it been summer, I could have easily polished off a jug. The piquillo pepper was full of strong flavours, the smoky piquillo making way for the hearty combination of morcilla (Spanish blood sausage) and chickpeas. I couldn’t quite make out exactly what the croquette was made of, but whatever it was, the deep fried shell encased a soft centre with tiny dispersed pieces of jamon, it was warm and comforting for the chilly night and went well with the accompanying romesco sauce. 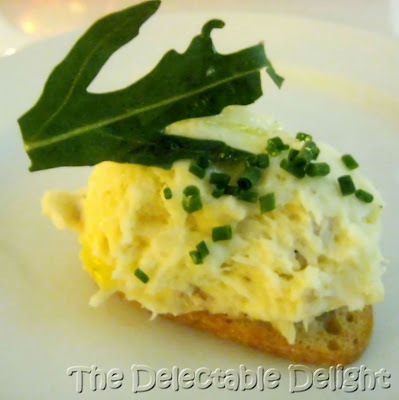 A generous serving of brandade, however I found it a little bland taste wise. The textures are lovely though, with the smooth, creamy brandade contrasting well with the solid crunch of the toast underneath. The filling seemed to be dominated by sundried tomato on one end and then the fontina cheese on the other. Being small overall, the pocket for filling inside was even smaller and I don’t think there was enough of the filling to really get the intended flavour explosion. Our first raciones for the night, this was quite decadent with a slice of fois gras on top of some seriously tender fillet cubes. 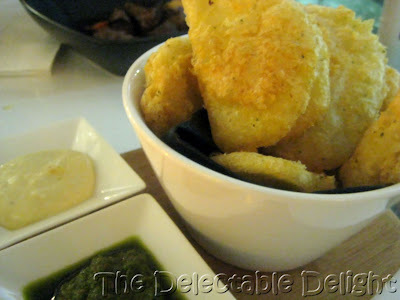 Full of strong flavours, the portion was definitely enough for two. One of the specials on the night we went, this was delicious. 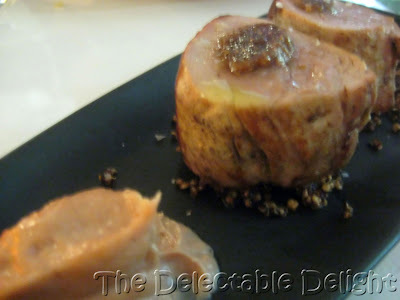 Succulent pork medallions stuffed with date and fig, again a sensible pairing of flavours, with the quince aioli adding a nice touch. Not what I was expecting at all! 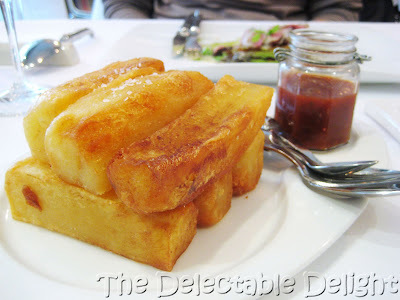 The Cru54 version of patatas bravas substitutes mojo paste for the traditional spicy tomato sauce and aioli for mayonnaise while potato slices reminiscent of potato scallops replace the standard potato cubes. 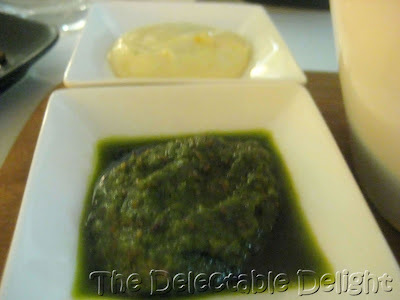 The mojo paste, blend of cumin and parsley among other things was very good. Service was impeccable that night; we were served by Catherine, the owner, who, apart from being stunning, is also a gracious and knowledgeable host. The warm and efficient service was a definitely a standout. There’s always room for dessert isn’t there? We finished on a light note, with the leche merengada, and don’t quote me, since I am by no means a Spanish speaker, but this would be Meringued Milk? The description on the menu was a bit confusing but whatever it’s called, it’s a milk based sorbet like dessert flavoured with lemon and cinnamon, served over wedges of slightly burnt Valencia orange and sprinkled with turron, which Catherine tells me they import from the motherland. It’s beautiful, I would have loved more, or even better to be let in on their recipe! So the entertainment book is serving us well! It’s a heavy brick of a book so I’m guessing it’ll have no trouble getting through the entire year. 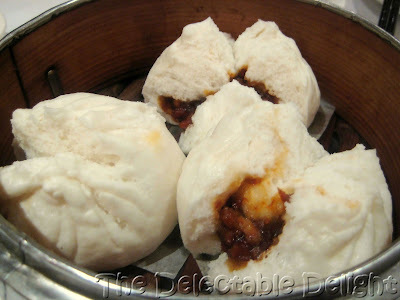 Considering that I regularly yum cha, it’s a little embarrassing that I haven’t blogged any of it yet. A comforting mid morning affair for me, I find the combination of warm savoury mouthfuls and sips of hot chinese tea a relaxing way to start a weekend day. My only warning when it comes to yum cha – never underestimate the filling power of those bite sized morsels, or the tea for that matter. Clever dish selection and portion control is your friend here, unless you want to pull out those elasticised pants you save for buffets. If you’ve never tried yum cha, expect something like an oversized sushi train, substituting the train for a neverending line of food trolleys, and the sushi for small dishes. It’s fantastic! 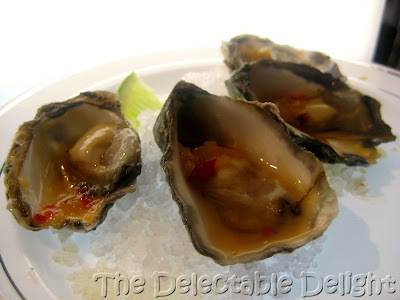 These photos are from a few outings at Palace Chinese Restaurant, which seems to be our yum cha of choice at the moment. I’ve heard grumblings that service has declined since being named Favourite Yum Cha in Sydney by the SMH Good Food Guide last year. I disagree. I’ve always found service to be attentive and considerate and I haven’t noticed a difference since the food guide mention. I’ve tried to make these at home, with random success. Even when the filling is perfect, the dough is never as airy. 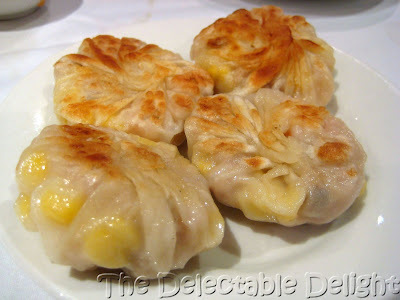 A pretty standard dish across the yum cha restaurants, a crowd favourite in my circles. 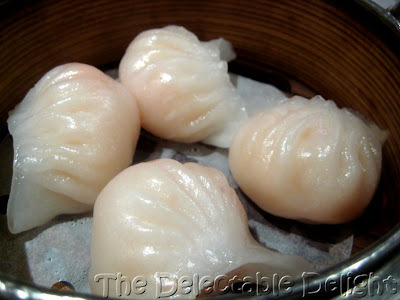 The har gow at Palace are full of Actual Prawns, which can’t always be said. 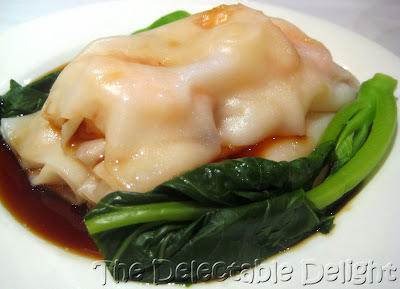 It’s not uncommon to bite into a har gow to find a sticky mess of flour, prawn like goo and miniscule prawn scraps – not here. 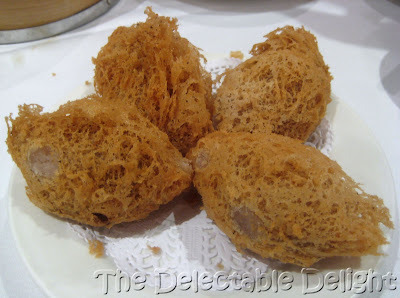 Usually we lean towards the steamed options at yum cha but I can’t go past the deep fried shells on these. 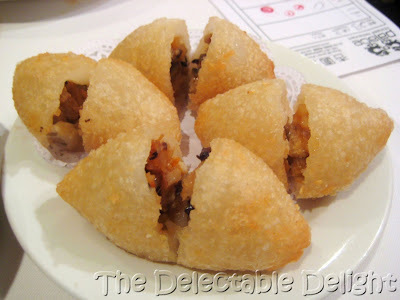 The texture is an addictive contrast of mochi like chewiness with the unmistakeable deep fried crunch, while it’s subtle sweetness is offset by the savoury pork and vegetable filling inside. The Palace version some some sort of pickle in it too, giving it a sour note as well. With a hint of chilli and black bean, half the fun is in the nibbling – the bone:flesh ratio is almost akin to a chicken wing. Sad to say but I have no idea what these may have been filled with. Knowing us, it was most likely custard or BBQ pork. 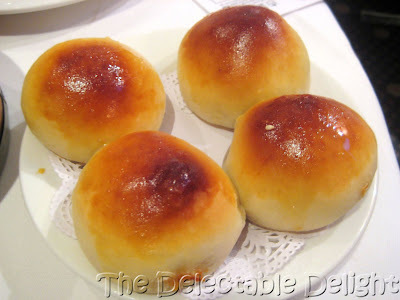 If you’ve ever had chinese bakery bread you’ll understand how moreish these can be. Along with the food trolleys, most yum cha places will generally have random specials that come out regularly on large trays from the kitchen, which can be quite hit and miss. This was one those. Served with a mayonnaise like sauce, there wasn’t a lot of flavour around, I wasn’t too impressed and wouldn’t get it again. Definitely a miss. Be adventurous! After all you only live once… The outer layer of skin is completely removed, leaving only the thin soft inner skin (never exposed to the elements). 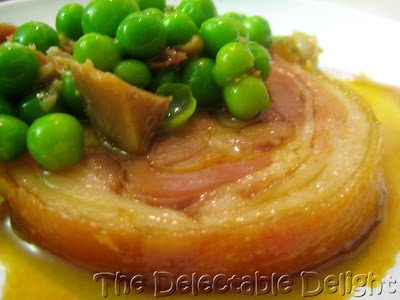 Slow and long cooking then gives you a lovely gelatinous texture. The thought of eating the bony foot of a chicken may be cringe and shudder worthy at first, but I’m sure the sweet black bean sauce along will convince you otherwise. Silky smooth rice noodles are always delicious and even more so when served with prawns and a sweet soy sauce. These slippery tubes can get messy to share but you’ll be glad you did. 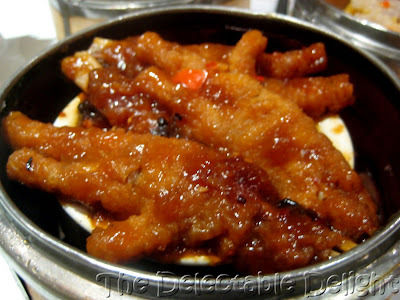 You can also get beef, BBQ pork, plain and vegetarian versions to keep things interesting. 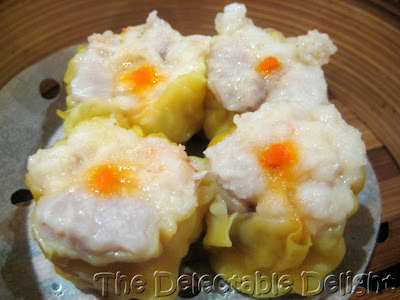 Steamed parcels of pork topped with the obligatory carrot piece. 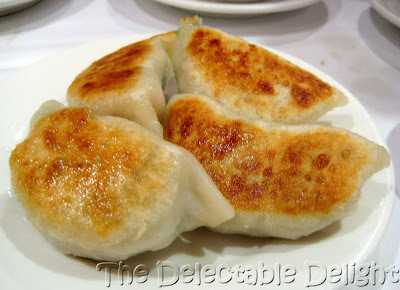 A yum cha staple. 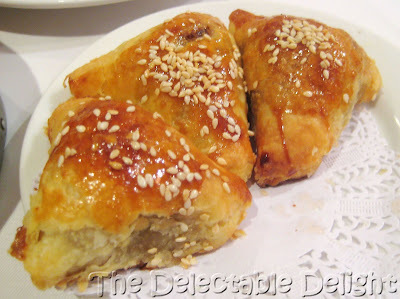 Filled with a mince mixture and served with vinegar, the starchy pastry is thicker than a steamed dumpling but the best bit for me is the golden crunchy bit on the bottom. I always make an effort to get things I can’t be bothered to make at home and these are a prime example. The deep friend taro shell encases a dollop of chopped pork and prawn mix inside, great for those wanting a starchy carb hit. 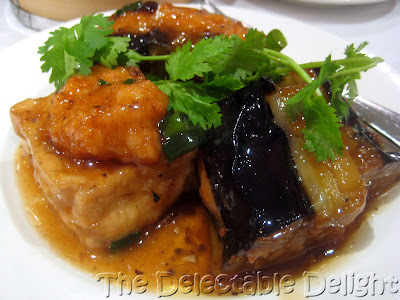 Fried tofu cubes and braised eggplant wedges filled with a meat mixture. 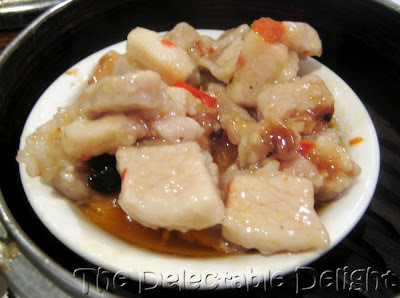 At home, my mum makes these with a fish filling but at Palace I tasted a hint of pork in the mix as well. 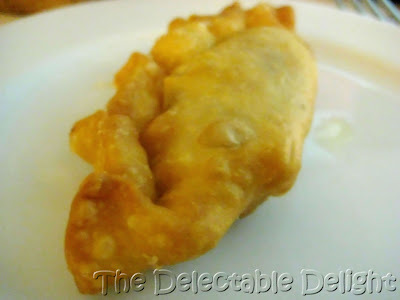 BBQ pork covered with a thin flaky pastry. Ideal for BBQ pork lovers. Slightly inaccurate photo, usually comes with four individual servings – sneakiness and hungriness amongst the masses in the morning to blame. 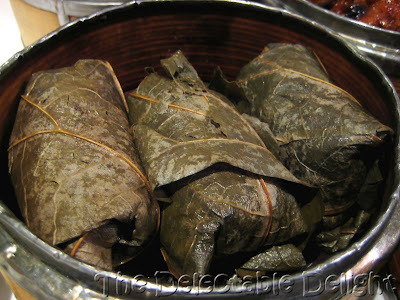 The lotus leaves impart a delicate fragrance to the glutinous rice and chicken mixture. 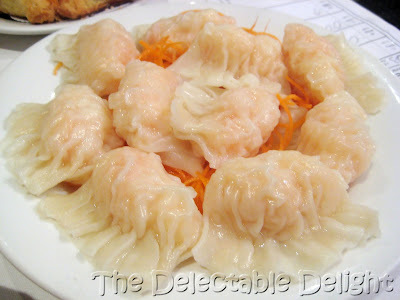 Another item from the specials tray, these were boiled and packed with prawns and pork, reminiscent of wonton filling, served with superfluous carrot shavings. Onto the sweets! I always try and save room for dessert and when that dessert trolley comes along, it’s probably the most decisive moment at our table. 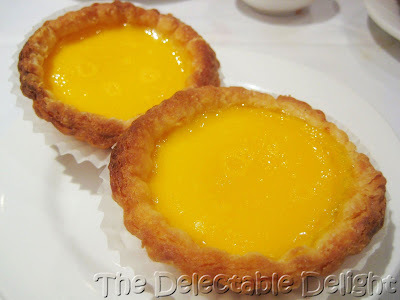 The most traditional of sweets, the pastry should be thick yet flakey and crumbly while the sweet egg custard should be silky and of course, yellow! We’ve been lucky enough to get them straight from oven most times – even better! A favourite of Daisy Moo’s. 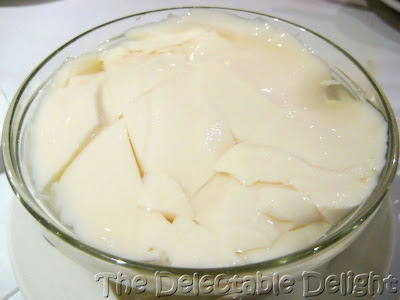 The tofu is a much lighter and even more delicate than silken tofu, served here with a plain sugar syrup. Some places will also add a hint of ginger. 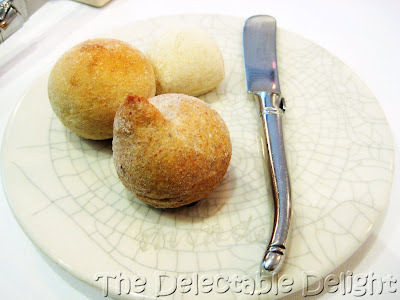 I’ve never managed to fully catch the name of this dessert but it’s one of the main reasons I love Palace for yum cha. In true chinese style, it’s name is elaborate and along the lines of “golden dream” but please, don’t quote me on this one, just trust that it’s a satisfying sugar hit. 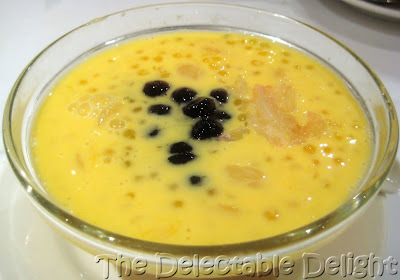 It’s a combination of mango, coconut jelly, lychees and sago in a chilled, lightly creamy base topped with pomelo flesh. Lately they’ve also been adding the pearls that you get in pearl tea, Easyway style. Fruity and sweet. 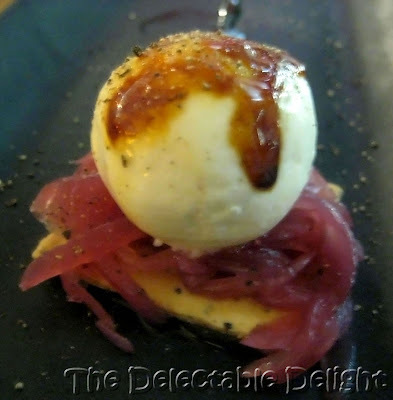 Well, to start, my recent interludes into Sydney have been fortunate enough to coincide with some fun food events, one being the Taste of Sydney festival. An outdoor festival held last month in the serene Centennial Park. Being lucky ticketholders of the Saturday night session, the girls and I were offered not only the gourmet delights of Sydney, but as a bonus (and for free I might add), we were was treated to a night of torrential rain, gale force winds and plastic ponchos. Mother Nature sure knows how to add some atmosphere. So, after arriving at 5pm on the dot, the clouds descend and suddenly a storm in upon us. We dash to the nearest pavilion, finding a wine tasting class ready to begin – How Convenient! I generally prefer to eat before/while drinking but really, between a choice of first class wines and cold, soul drenching rain….it’s a pretty easy decision isn’t it? 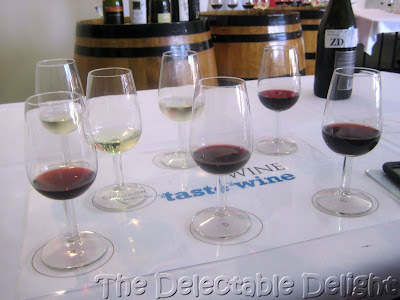 Beautiful wines; I loved the tasting, Sindel loved finishing my spread, Madam Saucy loved the fact there was no spittle bucket and H perfected her wine musing look – all in all, a fun way to begin our night. After the wine tasting we are 4 ravenous women - our plan of attack: Sharing is Caring. 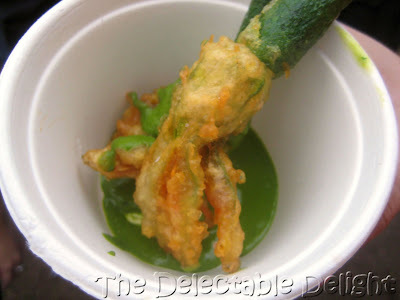 The rain has stopped and to start we head for a vegetarian option, so all of us can dive in. 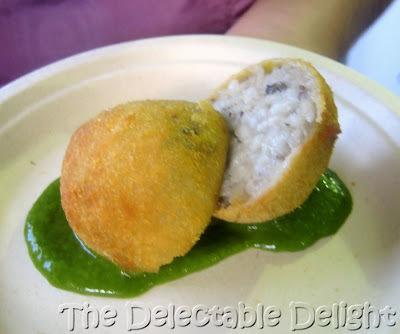 The arancini is piping hot, with a moreish centre, I wish it was bigger. After this little nibble we meet up with Herr Mouttard, JJW and Snow White, who point us in the direction of Restaurant Balzac. A fancy spring roll - a damn good fancy spring roll. 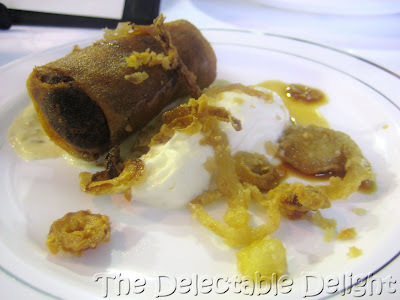 The beef melted in my mouth (as expected) and the crunchy outer contrasted nicely with the cooling cauliflower cream. I look up to notice our resident vegetarian looking hungry, next stop Danks St Depot. 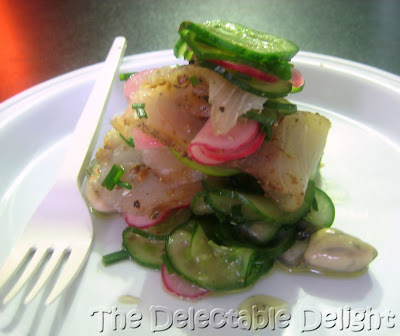 As we arrive, we’re greeted by Jared Ingersoll, who emerges to reassure us his food tastes as good as it looks. Suddenly, the urge for wine overcomes us, fortunately the girls at the Wyndham Estate stall are more than happy to oblige. 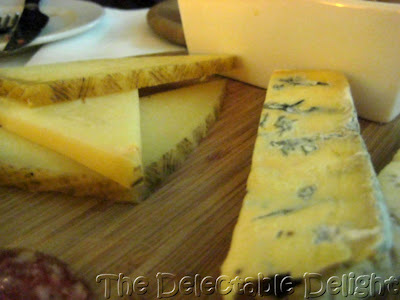 We meander through the side stalls drinking wine, tasting cheese, sweets and olive oils among many other mouth watering treats. 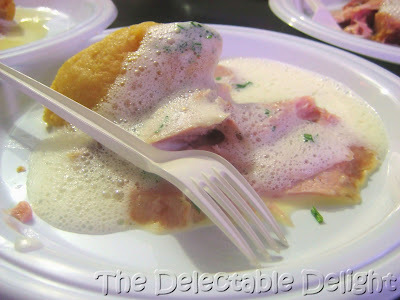 At this point, I’m getting hungry again and can feel the Crowns (the festival’s currency) in my bag calling out to me. 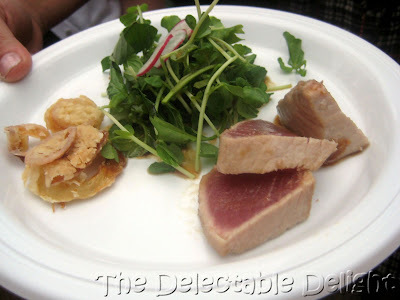 Next stop – Jonah’s at Whale Beach and Bécasse. 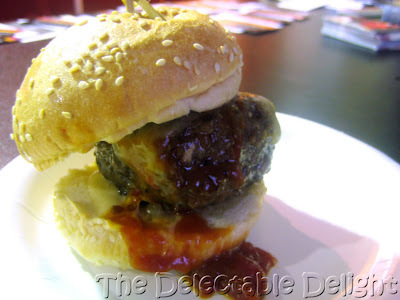 Being men who love meat (let’s face it, most of them do…), JJW and Herr Mouttard are almost physically pushing us towards the Plan B Wagyu beef burger. We trek over to the stall and find a massive line waiting for said burger. Generally, we found the crowd and lines quite small in the festival, but this beef burger was pulling in a huge crowd, by far the most popular dish of the night. We waited patiently… and were rewarded with this awesome baby! Apologies for my amateur photo, this is a truly unflattering shot of a truly delicious burger. I found myself in my own little world, groaning with satisfaction as I was eating it and oddly, paranoid that someone would ask for a bite. If you have never experienced a foodgasm, I’m sure this will do it for you, (pending meat eating status). Speaking of non-meat eaters, resourceful Sindel joined Herr Mouttard next door to grab some fish action. 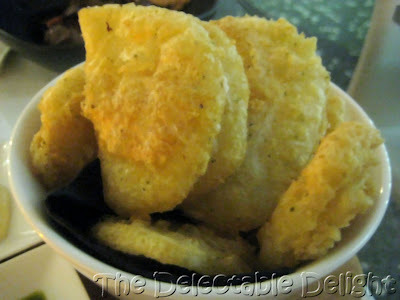 I grabbed a bite of these and again wished I had the courage to deep fry in my own kitchen. On our way to grab some champagne (I’m a sucker for the bubbly at the moment), Madam Saucy and I were distracted by seafood. Not sure where the alleged crispy shallots and coriander have gone but that didn’t stop us enjoying these slurpy little mouthfuls. We tried to save some for Sindel and H (Group motto had changed to Divide and Conquer by this point) but with no luck finding them we took it for the team and finished off the plate, it’s the thought that counts? Being the predictable chocoholic that he is, Herr Mouttard instinctively veered towards the Lindt stall to finish his night with this gooey concoction. 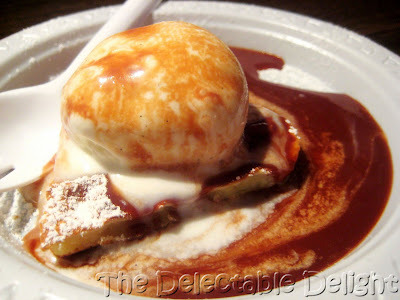 The icecream was a bit melted by the time I’d gotten to it but still good nevertheless. 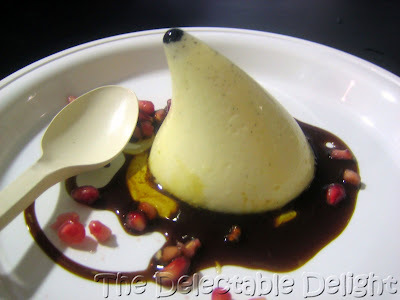 I know panna cotta is a cinch to make at home but I still gravitate towards it when I’m out. 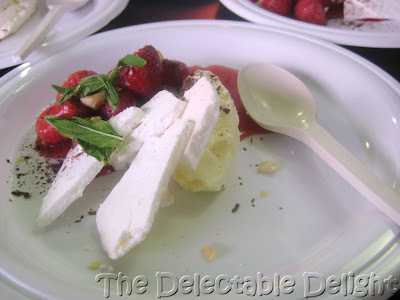 This wobbly baby really hit the spot that night, it was sweet yet light, and it’s provocative vanilla seed peak was a was fun to watch – until I ate it! Mother Nature has incredible timing and as we polish off our last bites the rain returns with renewed vigour. Suddenly the only thing I can think about is how fat, cold and hard the raindrops are on my head and how grateful I am that I didn’t end up wearing that white top that seems to be on high rotation in my wardrobe at the moment. Turns out I go home in a white top of a completely different kind – an unbecoming white plastic poncho which renders me devoid of any womanly shape and is irritatingly much too long, but keeps me (somewhat) dry as I walk what seem to be miles, out to Oxford St to get a cab. That poncho providing man must have been everyone’s hero during the night. Now, if only someone would organise a food festival for me every weekend.